Designing, manufacturing and supporting products generates large amounts of data in multiple silos throughout the value-chain. Forward thinking companies recognise this as a strategic asset which can be leveraged to enhance profits. Recent advances in data science open up opportunities to break-down barriers between functional silos. Typically, a ShapeSpace client has a particular strategic initiative or problem which could be addressed if the data could be easily accessed and analysed. Our engineers and data scientists work with the client to fully understand the problem, identify what data is required and available, and then produce a dashboard or visualisation which allows options to be explored and quantified. 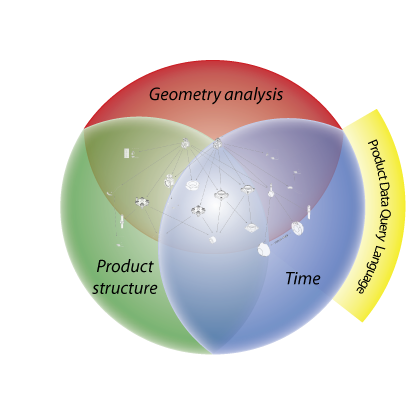 For engineering companies, accessing, linking and reasoning about all the product related information is often a challenge. Data is held in multiple hard-to-access silos. Products have a structure which traditional business intelligence software finds hard to deal with. Components have shape and material properties. ShapeSpace have developed a toolset which allows us to quickly and simply ‘mash-up’ data (bills-of-materials, 3D CAD, ERP and so on) and to write queries that provide the evidence needed to make data-driven decisions. 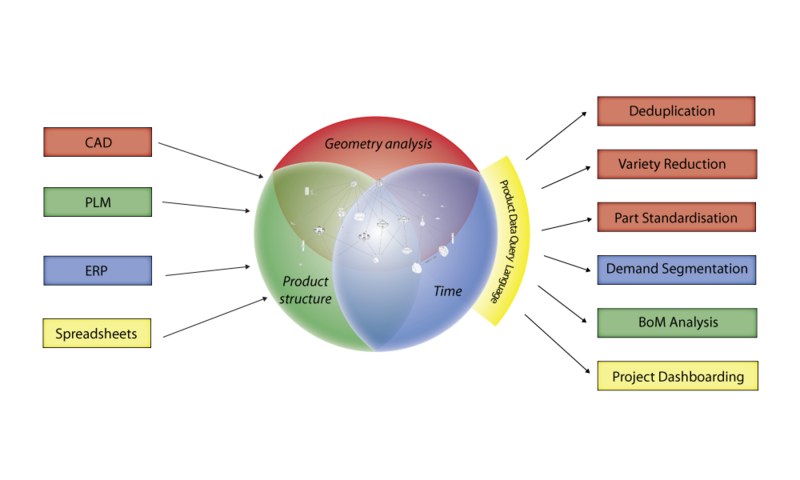 This toolset includes our ‘search-by-shape’ technology which allows us to recognise similar and duplicate parts, alongside novel techniques for storing and analysing product structure and for monitoring how product data changes over time. Some examples of our PDI capability: Executive Dashboarding, Parts Analysis, Engineering Consultancy.